If you’re a civil engineer like I am, you’ve probably heard of ASCE’s Raise the Bar. Whether you stumbled across it online, heard about it at a conference, or read about it in a newsletter, do you understand it? I get a lot of questions from civil engineers about Raise the Bar, specifically what it means and how it is intended to help civil engineers. That’s why in a recent episode of the Civil Engineering Podcast I interviewed Kelly Dooley, P.E., M.ASCE, the director of Raise the Bar for ASCE, and Brad Aldrich, P.E., F.NSPE, F.ASCE, who, among his many accomplishments, serves on the ASCE Raise the Bar Committee. “Raise the Bar centers around the idea that we want to make sure all civil engineers have the knowledge and skills that they need to enter professional practice,” Dooley says during the episode. 1. What is Raise the Bar? 2. Why do we need to raise the bar? 3. What is the Civil Engineering Body of Knowledge? Why was it established, and how is it related to Raise the Bar? 4. How are you making sure that new ideas are being looked at from a professional practice perspective? 5. What does the future of the engineering practice look like? There is no doubt that this is an important issue, and one that all civil engineers should be aware of. If you have questions for Kelly or Brad, join the conversation in Collaborate. 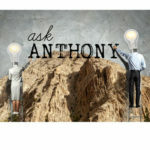 Anthony has also recently started the Engineering Management Accelerator to help engineers become more entrepreneurial: www.EngineerToManager.com. 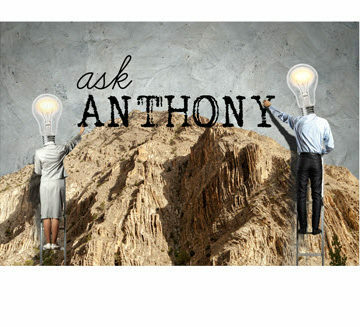 Ask Anthony: How Do you Become an Expert in a Specific Civil Engineering Niche? Adding educational requirements may raise the bar to entry for engineers, but will that lead to better practice? To gain respect and standing in the community, engineers must be viewed as true professionalism. While knowledge is an important part of being an engineer, it is just as important to know what we don’t know and recognize the expertise needed for each situation. Specialties evolve in an individual’s career and often are not within areas even conceived of during college. Fundamental skills such as physics, fluid dynamics, and applied mechanics that form the basis for all engineering are the most critical to thoroughly understand. I have hired young engineers who knew how to build and execute complex models, but could not draw a free body diagram. This is not elevating the profession.